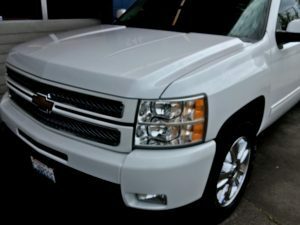 What is a FlightShield Coating for Kent Vehicles? Initially developed for the aviation industry, the FlightShield coating is a crystal clear nano-coating that gives extra protection to the paint of a vehicle. 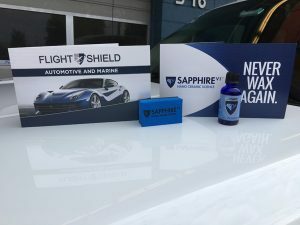 The FlightShield coating was first used on aircraft to protect its paint and now is used in the automotive industry to provide car paint protection. You can rely on our skilled and trained technicians for the effective application of the FlightShield coating. FlightShield ceramic coating keeps the gloss and shine on an automobile for a long time. To keep your automobile in the best possible condition, you need to have it repaired and maintained from time to time. Scrapes, dents, and scratches are difficult to stop. Therefore, you need some type of car paint protection coating on your car. Our technicians are equipped with the best quality equipment and techniques that help them complete the application of FlightShield car paint protection coating within your timeframe and budget. Why Do Kent Residents Choose Us for This Car Paint Coating? There might be several companies offering services for car paint coating in Kent. However, to ensure that your vehicle keeps looking glossy and shiny for a long period of time, you need to choose the best company that can provide FlightShield coating for your vehicle. When you trust your automobile to us to apply FightShield coating you can be assured of quality work by quality personnel with a quality product. You will be glad you did. 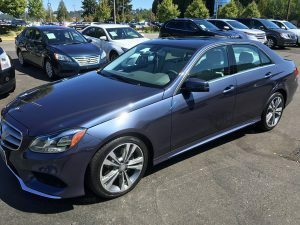 If you are considering car paint coating for your vehicle in Kent, call Signature Auto Detail at (425) 687-2700.